Rivers flow close to many towns and cities. Cities near rivers and seas have two big advantages: commerce and sustainability. For example, Kochi, Kolkata and Mangalore have big ports and are also major fishing centres. It was inevitable that I came across rivers, big and small, in my travels within and outside India. 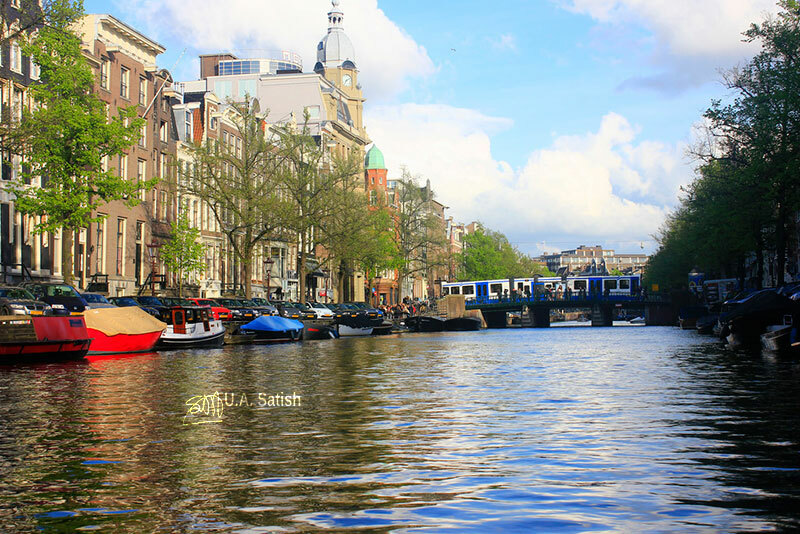 Amsterdam is one of the towns that sprung around Amstel River eight centuries ago. Parts of the city lie below the sea level. The river is linked to an intricate system of canals within Amsterdam. Long cycling routes surround the area around Amstel. 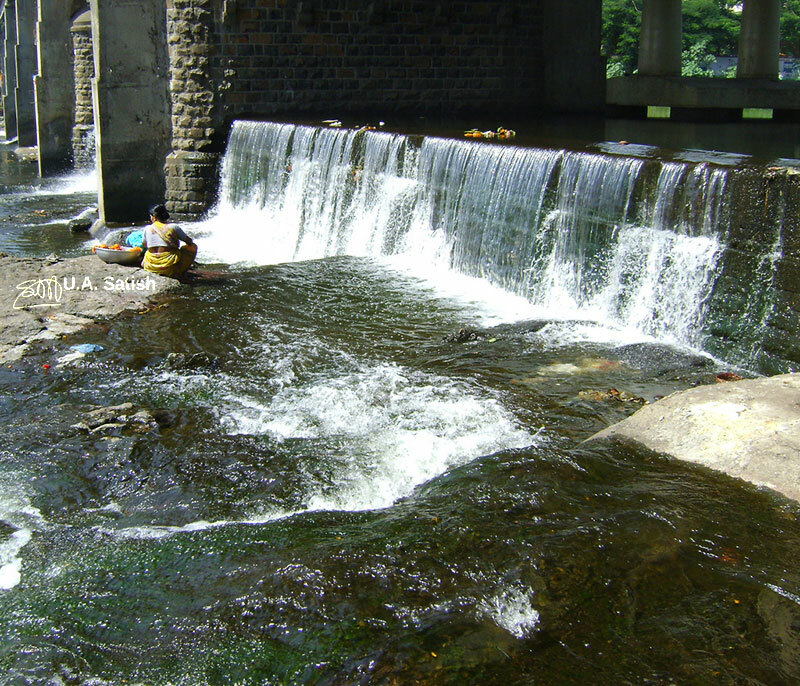 Barvi River flows through Badlapur in Thane district. We had visited Sree Ramadasa Ashram in Ambeshiv Gaon, west of Badlapur, . It is 15.5 km from Barvi Dam which supplies water to Thane, Kalyan, Dombivli and Vasai – Virar. Hindus consider River Ganga as sacred. The river originates in Gangotri and flows through the Gangetic Plains. Varanasi, on the banks of the Ganga, is regarded as one of the holiest cities of India. 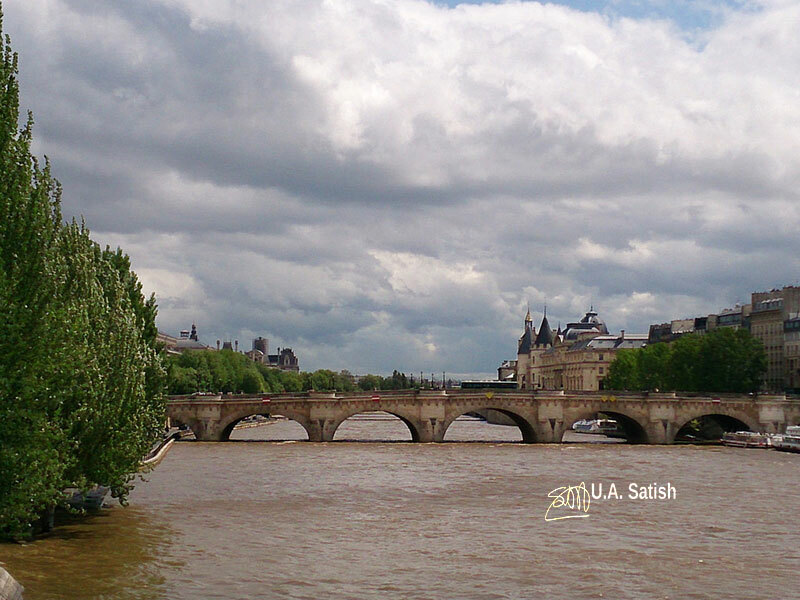 There are 32 bridges on River Seine in Paris. It flows through the centre of the city. The river banks have restaurants, cafes and discos. When you face downstream, the left bank is on your left and the right bank on your right. The best way to get a feel of Paris is by a boat cruise on the Seine. The biggest river in Tuscany region of Italy is River Arno. It is crossed by many bridges in Florence. 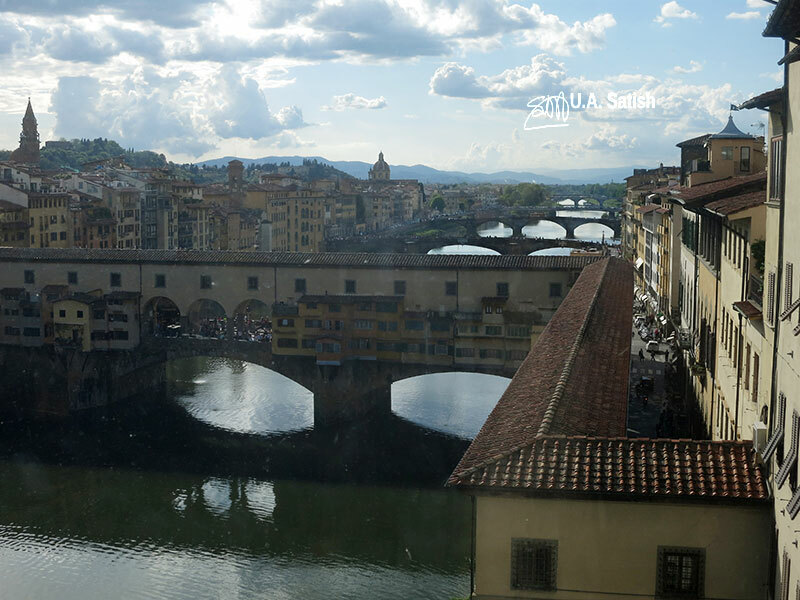 The most famous of them is Ponte Vecchio which is for pedestrian only. It is the only remaining bridge to have houses and shops on it. River Arno flooded Florence in 1966 and caused great damage to the city centre. 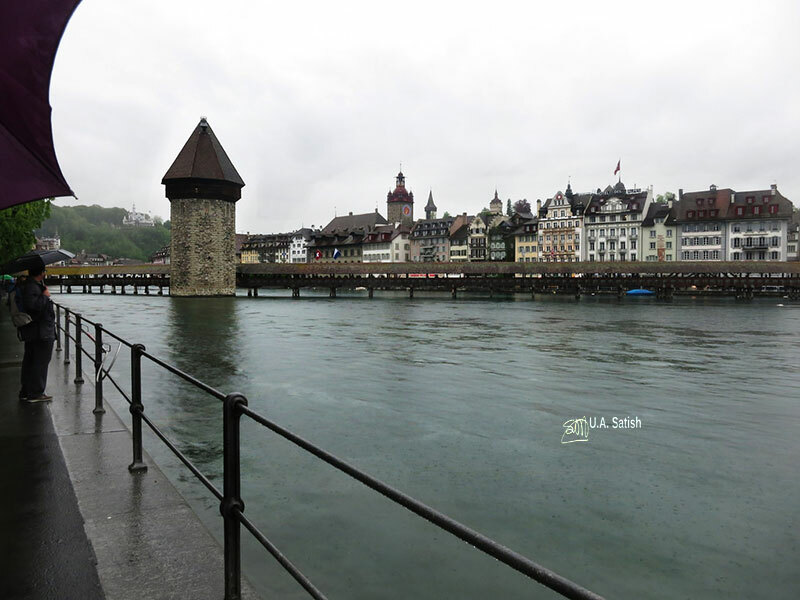 Through the heart of Lucerne town in Switzerland flows River Reuss. Its banks are lined by preserved medieval buildings. Chapel Bridge on the river is the most photographed site in Switzerland. A cruise by paddle steamer on Lake Lucerne is enjoyable. 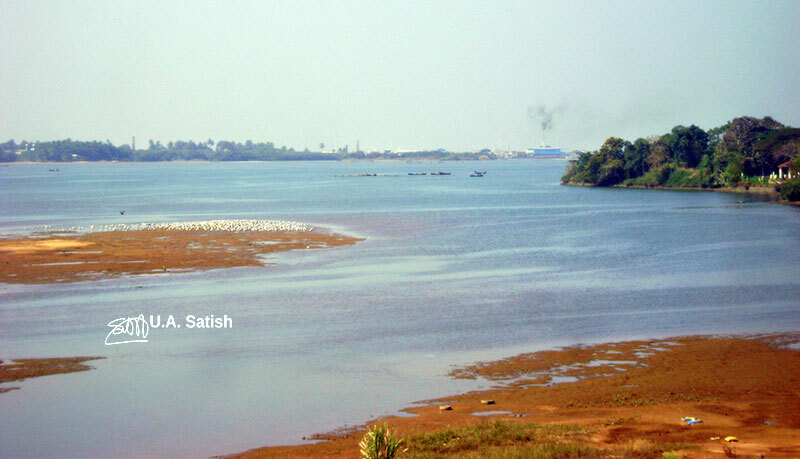 Valapattanam River is the largest river in Kannur district. Valapattanam town is situated on its banks. So is the famous Muthappan Temple in Parassinikadavu. In olden days, devotees used to travel to the temple by boat from Valapattanam town. Now good roads connect Parassinikadavu and Kannur. River Mandovi is the lifeline of the state of Goa. It starts in Karnataka, flows through Goa and empties into Arabian Sea. Floating casinos are anchored on the river. 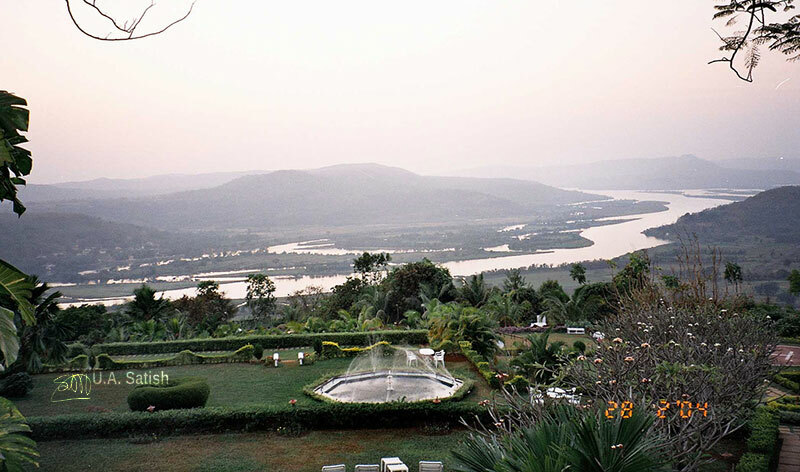 On the banks of the river in Panaji are gardens, promenades, monuments and hotels. 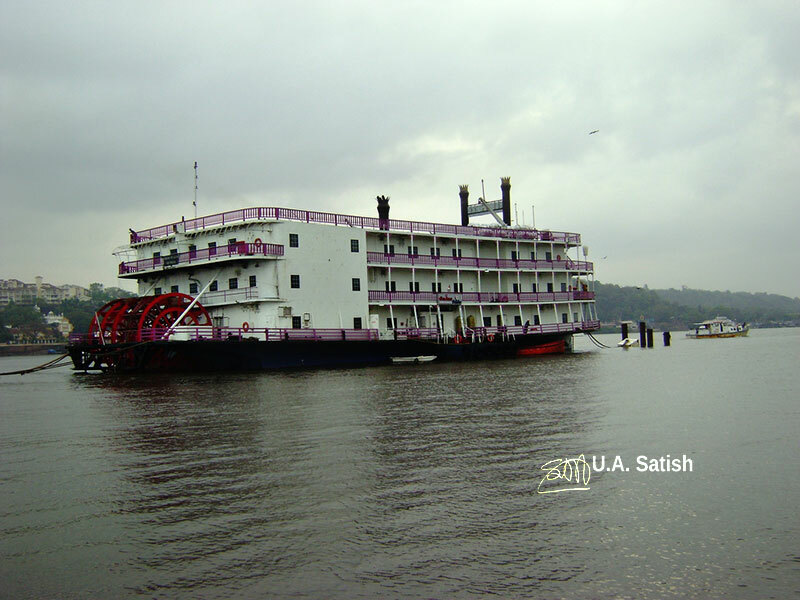 A distributary of The Ganges is Hooghly River. The Ganges splits into Padma and Hooghly near Murshidabad. The Padma flows into Bangladesh while the Hooghly surges on to Bay of Bengal. 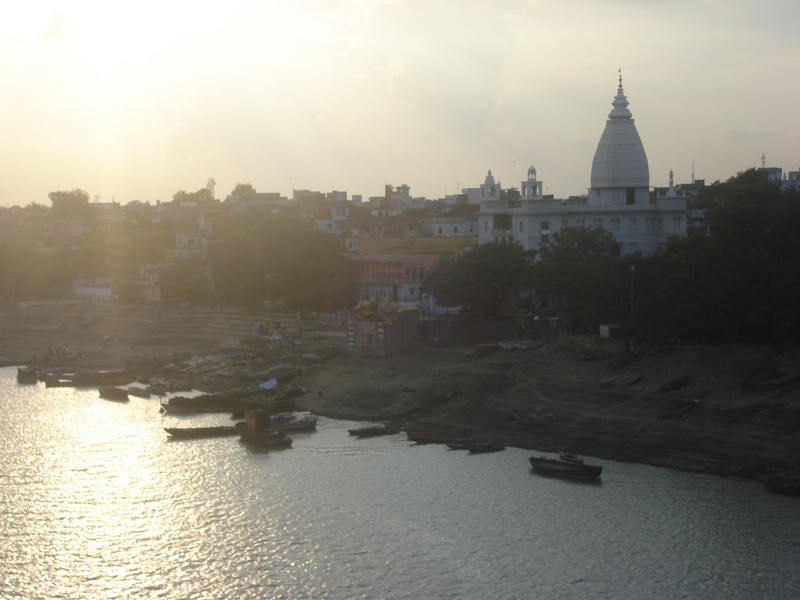 Hindus regard The Hooghly as holy, like the rest of the Ganges. 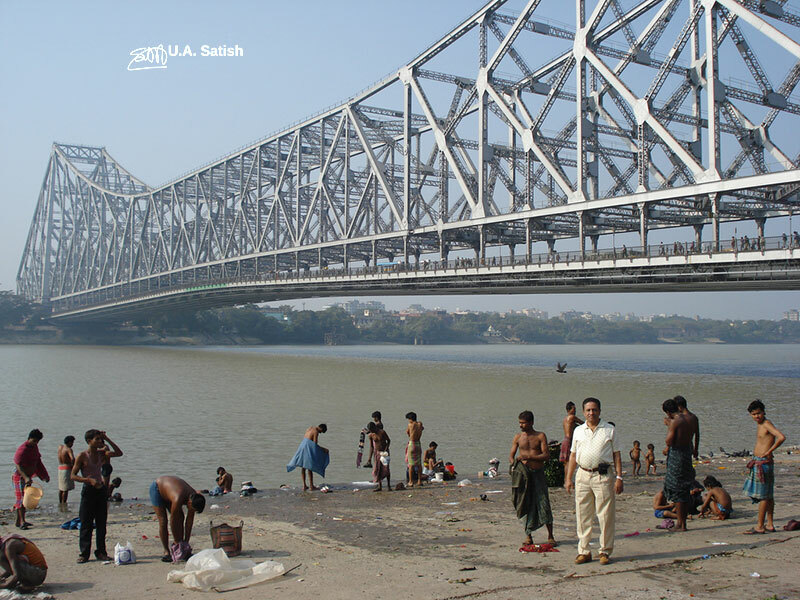 Howrah Bridge connects Kolkata and Howrah. It carries a daily traffic of 100,000+ vehicles. This is the busiest cantilevered bridge in the world. A tributary of Son River, the Rihand flows through the states of Uttar Pradesh and Madhya Pradesh. In 1962, Rihand Dam was constructed across the river to harness hydro-electric power. 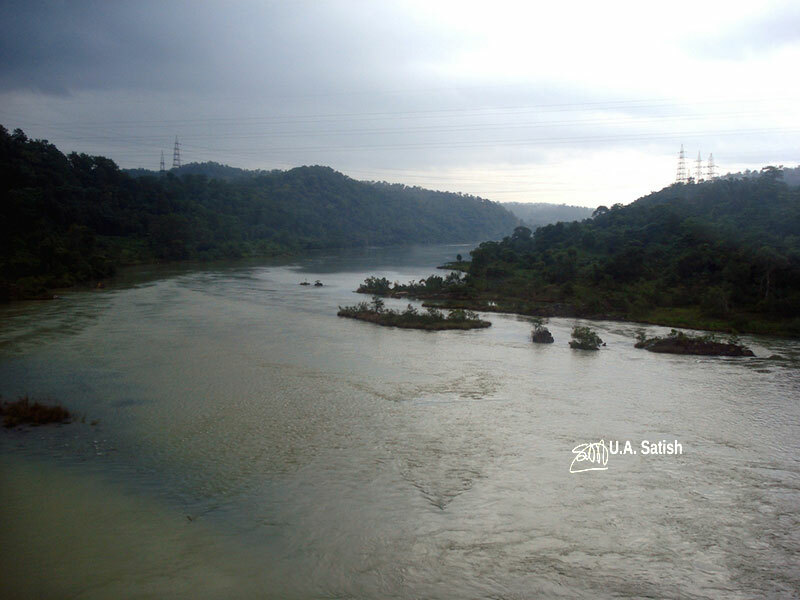 Originating in the Western Ghats, the Netravati flows down to the Arabian Sea near Mangalore. It is considered one of India’s holy rivers. 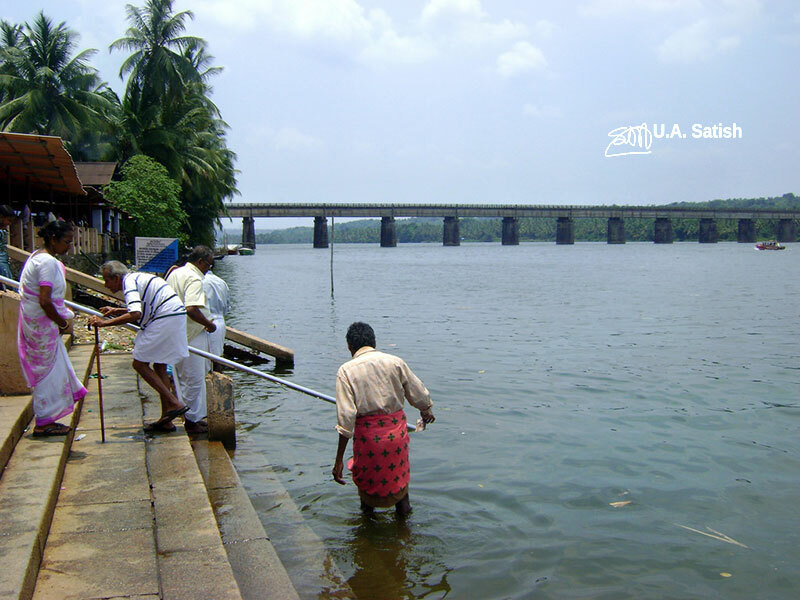 The Netravati Railwy bridge serves as the gateway to Mangalore. People living on the banks of the river engage in agriculture and fishing. Trimbakeshwar, Maharashtra is the origin of Godavari River. It is also known as Dakshin Ganga. Hindus cherish the river as sacred. It flows south and empties into the Bay of Bengal. It is the second longest river in India, after the Ganges. Teesta Kangse glacier in the Himalayas is the origin of Teesta River. 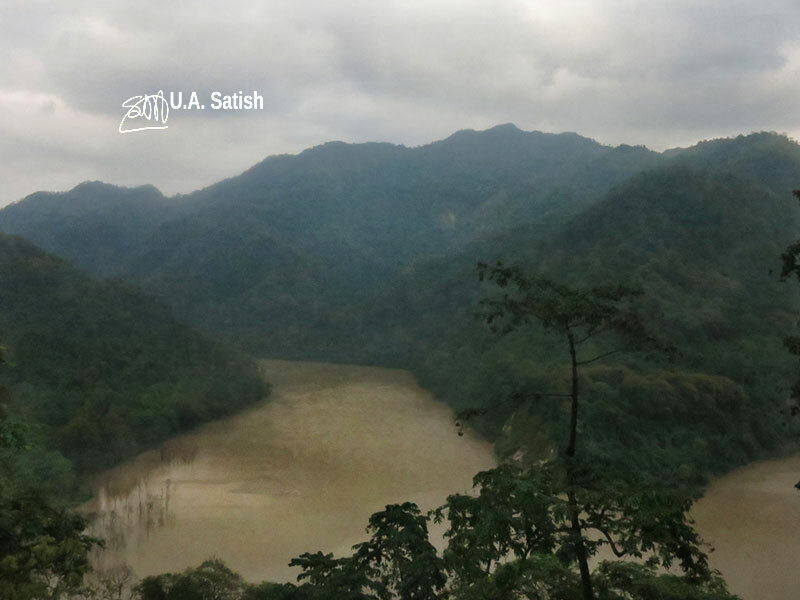 It flows through Sikkim and West Bengal before entering Bangladesh. It empties into the Bay of Bengal. 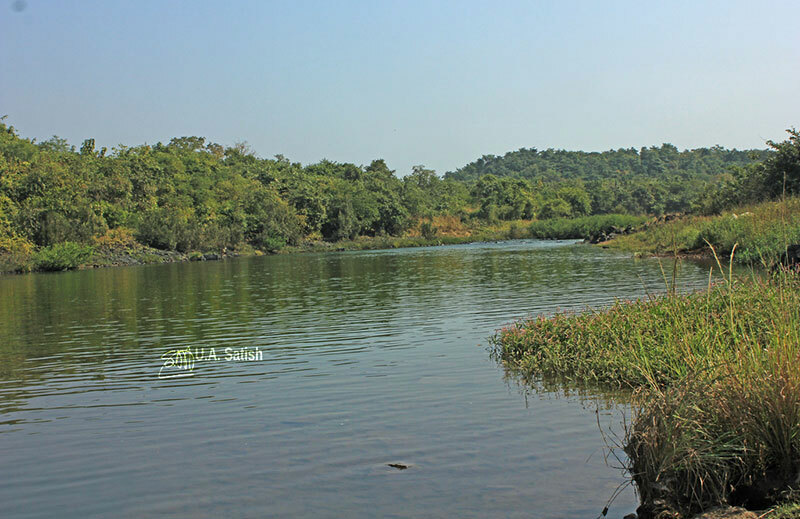 Vashishti River is one of the bigger rivers in Konkan area of Maharashtra. It runs down from the Western Ghats and joins Arabian Sea. The river has a number of riverine islands. The town of Chiplun is on its banks. You have hopefully liked the post. Post comments in the box below. If you have questions, please use the Contact Form to get in touch with me.